Teo Tibercio, who hails from Barcelona, has found a home with the Trojans and new friends. EAST LANSING, Mich. – Teo Tibercio is not just any 16-year-old student. He was born and raised in Barcelona, Spain and came to the United States by choice, using cross country as a way to integrate himself. When Tibercio arrived in the U.S. in late August, he spent his first few days spending time with his host family, which selected him through an agency. His host brother is a freshman at East Lansing High School. 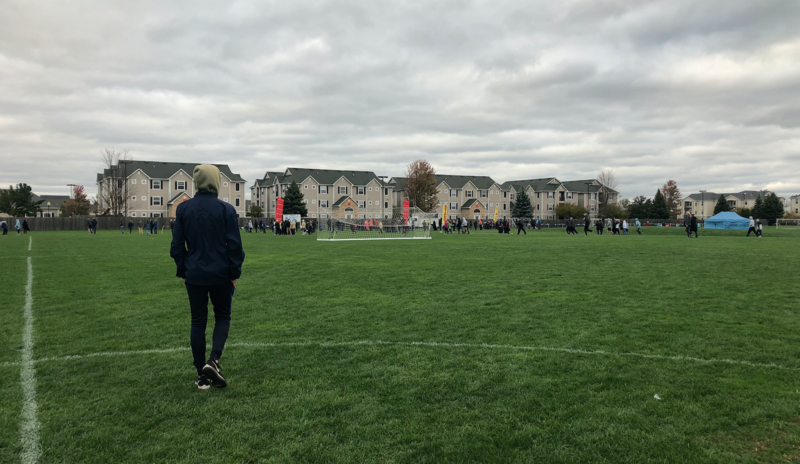 Within a few days, Tibercio wanted to immerse himself in the culture and decided that cross country would be the best decision. In Spain, he had been a runner for a long time. For the East Lansing cross country team, runners must attend a summer camp. Coach Patrick Murray let Tibercio attend the camp, in hopes that it would help him meet his teammates before the season. Tibercio met his best friend on the team, Andrew Lane, during their first practice. Lane, a junior, is the best runner on the team and a winner of two meets this season. He never had a foreign exchange student in his life before Tibercio. 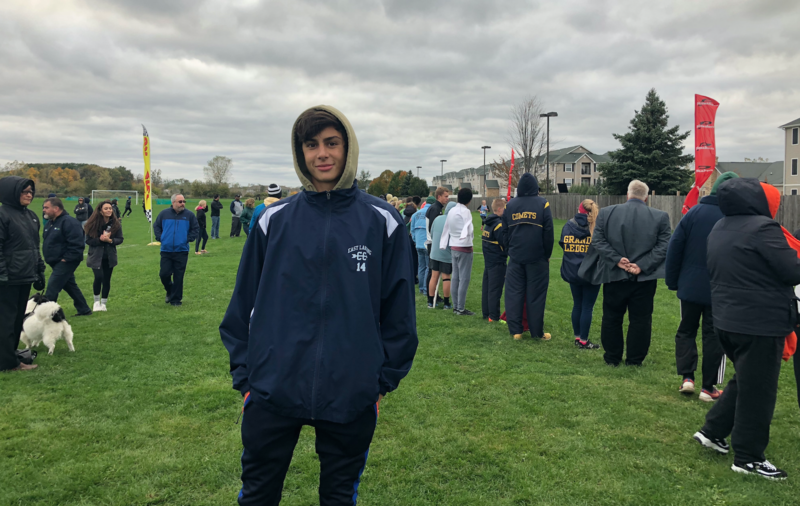 There have been three foreign exchange students in the East Lansing High School cross country program since Murray took over. Tibercio has been the most impressive socially. Tibercio’s English is above average because of the commitment he had to learn the language while in Barcelona. His success in communication did not carry over to the course. Tibercio couldn’t finish his first two races due to fatigue. Now with the same committed attitude, and with the help from his coach and teammates, Tibercio sets a personal record each race he runs. Continuous growth seems to be the theme with Tibercio. He came to the U.S. wanting a unique experience that he couldn’t get in Spain. It hasn’t been easy. His family was supportive of his decision to come to the U.S. for a year. Tibercio knows a few of his classmates in Spain that are doing the same thing in Chicago and Des Moines, and other countries. He will be in Michigan until June 30, 2019. When he leaves he hopes to have gained something bigger than himself. “Friendships, good English and a good experience in my life,” said Tibercio.